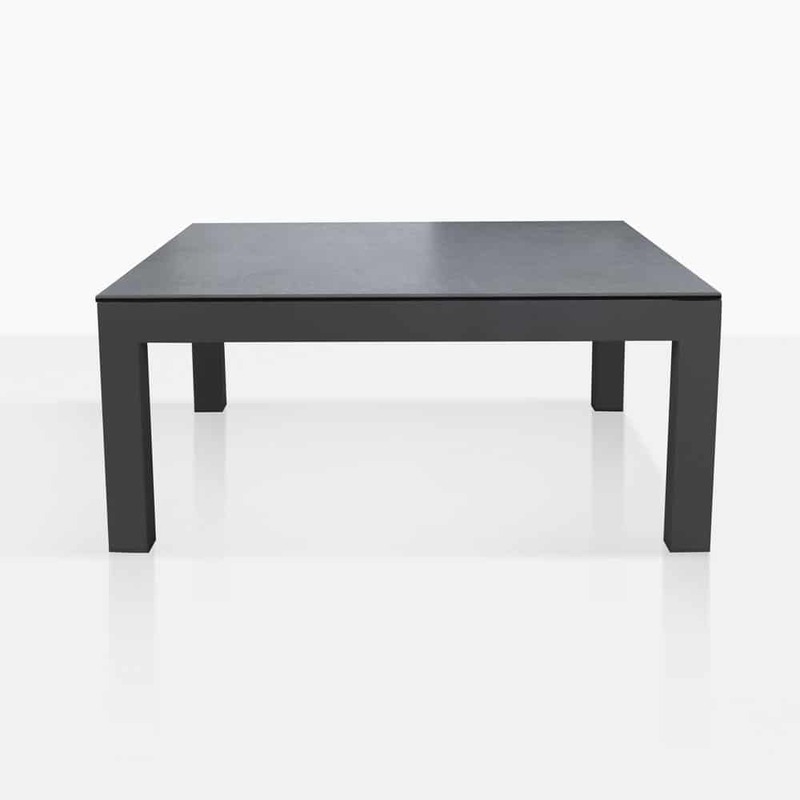 The Granada Outdoor Coffee Table in Dark Charcoal Gray is sleek, modern and versatile. 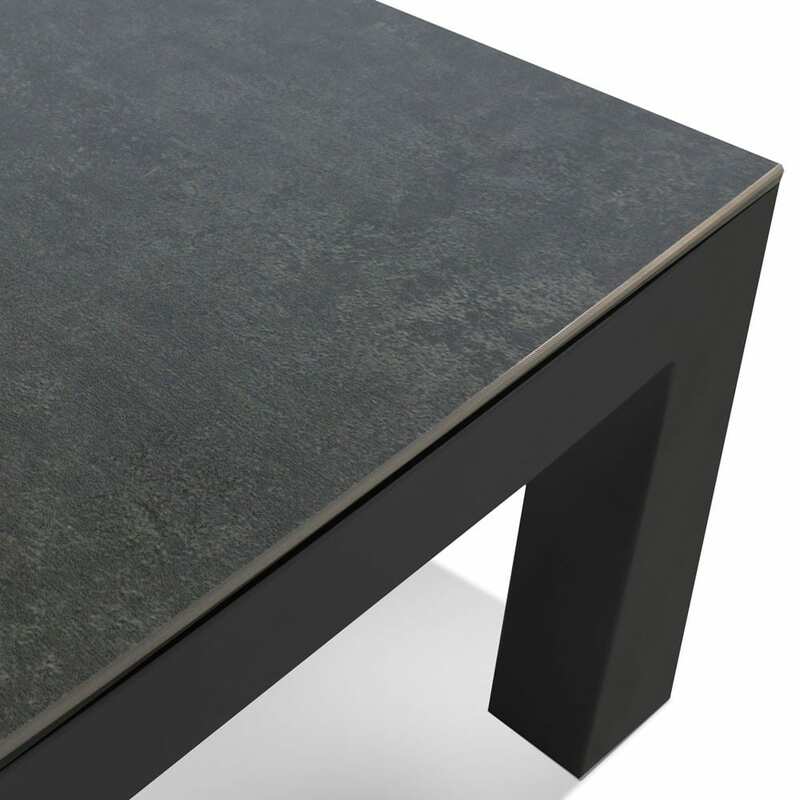 The frame is made with powder coated aluminum, this supports a glass and grey ceramic top. The simple design can be paired with the Granada Loveseat and Club Chair or with any other deep seating collection you choose. 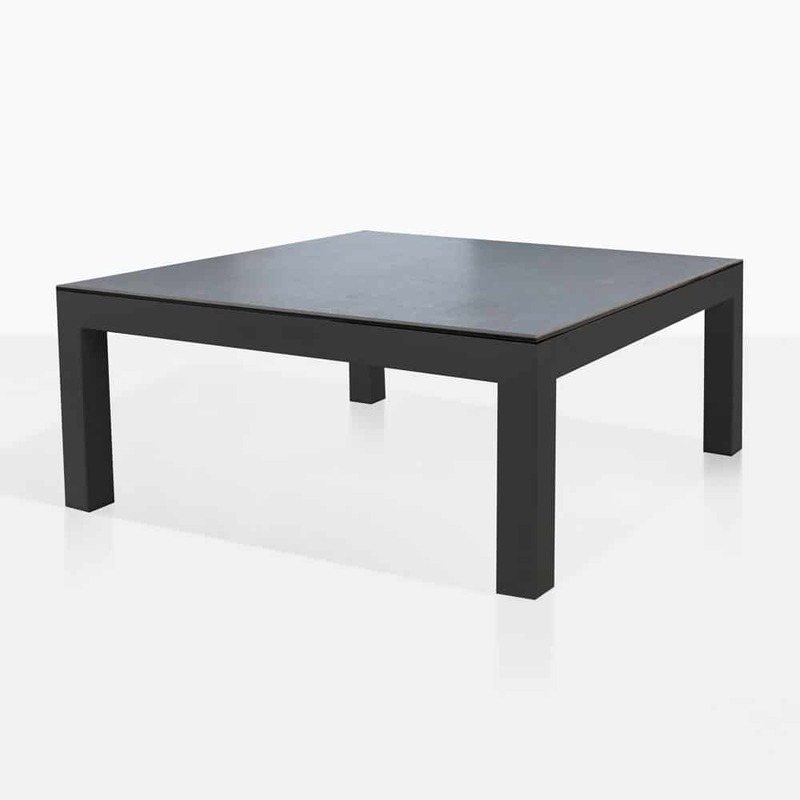 Call us today to learn more about this outdoor coffee table.